Activation of alarms to alert of any errors in the delivery of material and/or to signal whether the material exceeds the pre-set threshold temperature. 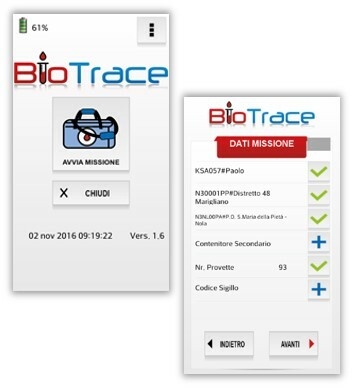 The operators collect all the transport identification data using the camera on their device (equipped with NFC/RIFID aerial and BIOTRACE APP). By placing the smartphone on the side of the tertiary container, all the data previously collected are transferred to the datalogger and the tracking of temperature starts. 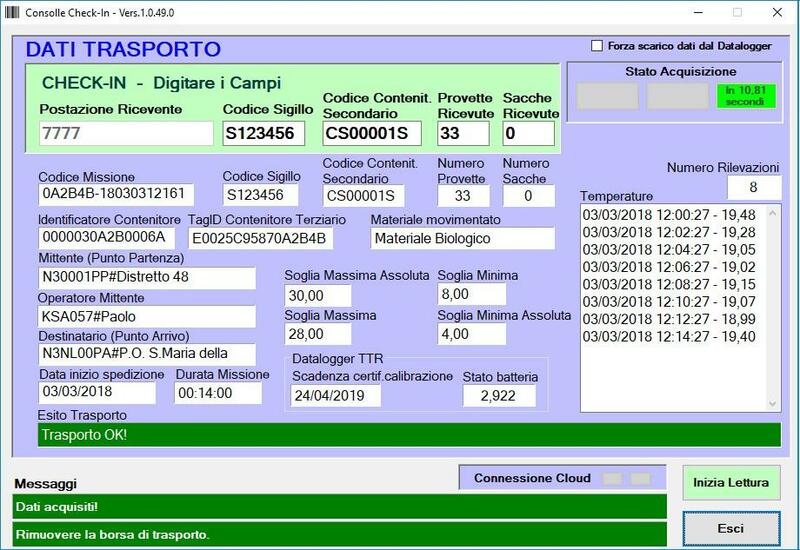 At the delivery point, there is the workstation dedicated to the delivery of the material consisting of a computer, RFID aerial EMOBaselle and the management software Consolle.CheckIO. 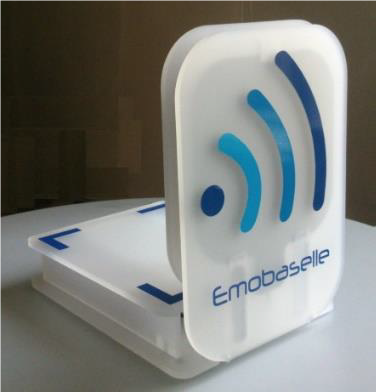 To end the transport procedure, place the container nexto the the EmoBaselle aerial. All the identification and temperature data recorded during transport will be downloaded. The data collected are checked and used to produce the final report on the transport session. Both the final report and the data are automatically transferred to the centralised database and can be retrieved using the Web Application ORMA.MB1. By selecting the time period of the transport or its result, the complete transport data and the thermal history will be displayed in form of data and graph.